Gary Bartels and I are the parents of Steven Scott (b1967) and Kaye Diane Bartels-Eiland (b1969). Steve More…is part owner of Centrix Solutions, a banking software development company, and Kaye is admissions representative at Southeast Community College. Steve is married to Christine Marie, who is an administrative assistant with the Madonna Rehabilitation Foundation. 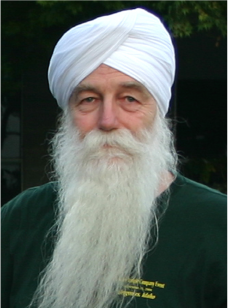 Kaye’s husband, Christopher Paul, is a gemologist at Sartor Hamann Jewelry. My two oldest grandchildren, Joshua Steven Bartels, and Sydnee Kaye Eiland are nine years old, and my youngest, Izaac Christopher Eiland is six. They are all playing sports this summer so I have my canopy-covered lawn chair ready for the baseball, softball, and T-ball fields. And since I will probably never stray far from my teacher-role, I will make sure they spend some time at the library, too. I am constantly reminded by my contemporaries of how lucky I am to have my family in Lincoln. I am not sure how that all evolved, but it has been a gift for me, as well I hope for them. For those of you who remember my first family, we were farmers in the hills near Hubbard when I was in high school. I remember how scared I was when I applied for the learner’s permit for the twelve-mile drive into high school. I actually had no problem with the driving test since I had been driving trucks and tractors for years prior. However, my eyesight was a different story! Much to everyone’s surprise, I didn’t pass the eye test! Isn’t it ironic how the things we worry about are often not the ones we end up having to worry about? My father died a week before I graduated from the University of Nebraska in 1964. My mother lived south of Dakota City for several years and then moved out to Colorado Springs. She died in 1995. Both of them as well as several other family members are buried in the beautiful Taylor Cemetery near Homer. Julie, my 1961 SSUX graduate sister, maintains her home in Colorado Springs, working part time as a nurse and playing competitive tennis. Upon graduating from high school, I went to the University of Nebraska at Lincoln. I majored in elementary education, though I had originally planned to be a chemistry teacher. I had this crush on Mr. Tippery. He had been a junior high student of my mother, and he told her if he had a daughter, he would want her to be just like me. How influenced I was! But someone in University registration told me I would not have the background from South Sioux City to make it in chemistry, so I switched to elementary education. They wouldn’t/couldn’t say that today, but those were different times! I had a wonderful time at the University. I joined several collegiate activities and had the opportunity to assume leadership responsibilities. They were opportunities I did not have in high school because I was needed home for farm chores. In my senior year, I was tapped for Mortar Board, served as president of Tassels (pep club which no longer exists), and recognized as Outstanding Senior Woman. I graduated with a B.S. in Elementary Education. That summer Gary Bartels and I were married, and I began my teaching career in the fall with the Lincoln Public Schools. Our marriage ended in 1976. Although most of my teaching was in 5th & 6th grades, I also spent several years at the middle and senior high school level. I retired early in 2000 with nearly 27 years of service. I loved to teach, but I had “met” Evelyn Sharp, the WWII ferry pilot from Ord, Nebraska. 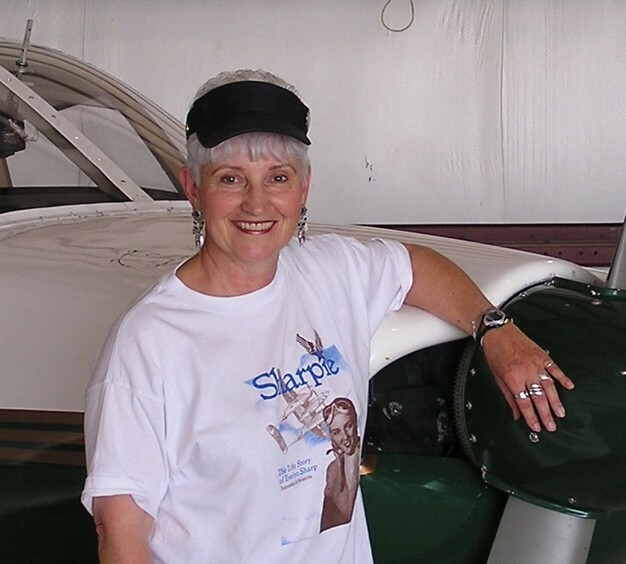 I wrote her biography: Sharpie: The Life Story of Evelyn Sharp – Nebraska’s Aviatrix and began sharing her commitment to perseverance and patriotism with others. At the age of 24, she had not survived a forced landing of her P-38 airplane. Airplanes and those who flew them have held a fascination for me since childhood. My first flight was in an airplane flown by one of Del Rae’s uncles. I earned my private pilot certificate in the summer of 1966. In 2003, the 100th anniversary of the Wright Brothers flight, I bought an airplane. It is a 1969 Piper Cherokee 180. I flew it in the 2007 Air Race Classic from Oklahoma City east, up to Maine, and on into St. Johns, New Brunswick, Canada. I hope to fly that Race at least one more time in my lifetime. Most of my volunteer time these days is spent in getting young people to think about having a vision of character and career and encouraging them to make those visions a reality. Evelyn Sharp’s life story is a perfect platform for this. Like her, I try to make a difference in the lives of young people. Planning for this reunion has given me pause to reflect upon the experiences and associations which speak to the person I am today. Though not without disappointments, life has been good. I am who I am today, in part, because of my roots in Dakota County, Nebraska. I am grateful for that. Diane Armour Bartels posted a message. New comment added. ago to which I wanted to respond by telephone. Diane Armour Bartels posted a message. about SSUX. They must be rebuilding. Happy Birthday, Carol. I hope your day is good. Happy Birthday, Pat, on another snow day.! Hope you have a good day! Can spring be far away!!! Another year to wish you a "Happy Birthday! Did you read my message from a year ago? but found the Web site inaccessible. Hope you had a good day! on our Web site. I hope you have a good day! Good morning, Neal. Hope you have a good birthday today! Happy belated birthday, Judy. I hope you had a good day. We are having California wx in Nebraska after our last weekend SNOW!! I hope you have a very good birthday. Hi, Gloria. I hope you have a good birthday. Was in Dakota County on Friday to do a Sharpie program. Jewell McGlaughlin (sp) came by to see me. I like going back to reconnect. Happy Birthday! Hope you have a good birthday, Wally. Hi, Karen. I hope you have a good birthday. a good day! I am doing Sharpie at SSUX Library, Oct 5. Hi, Bonnie. I hope you have a good birthday and that life is good for you! 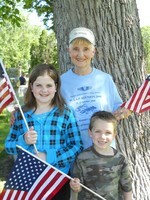 Sydnee and Izaac at Wyuka Memorial Day Event.